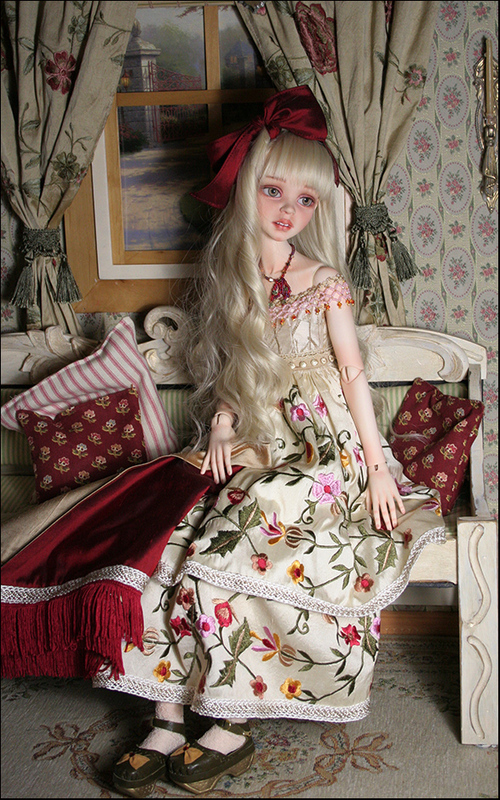 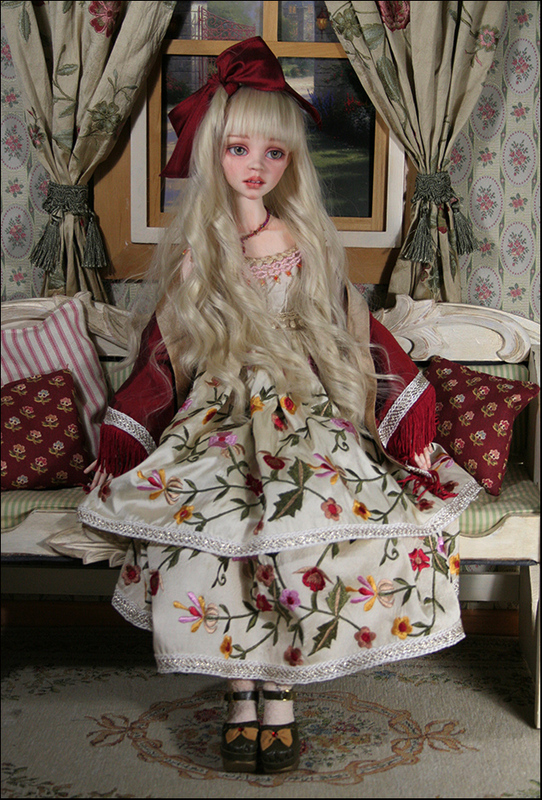 This doll will be for sale Saturday - Feb.11 at 3:00 pm EST. 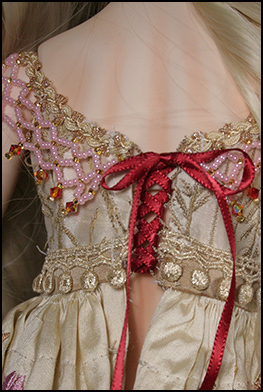 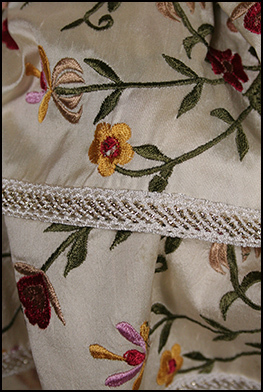 Cassie's dress is embroidered silk trimmed with metallic lace and features a beaded collar (glass beads and Swarovski crystals). 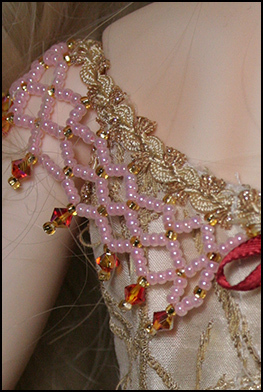 Her necklace is glass beads and crystals as well. 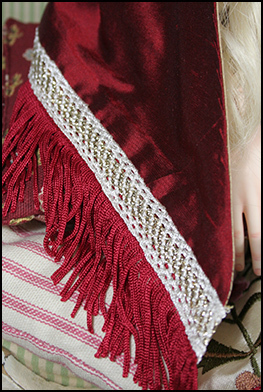 She wears a silk lined shawl trimmed with fringe. 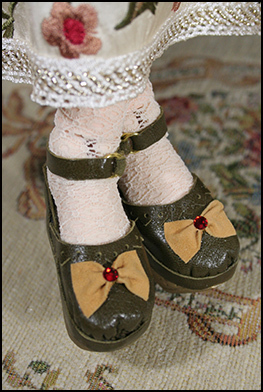 Her stockings are stretch lace and she wears silk bloomers.